We partner with Animal Rescue sites and Animal Lost & Found sites donating up to percentage of the sale proceeds directly to them. 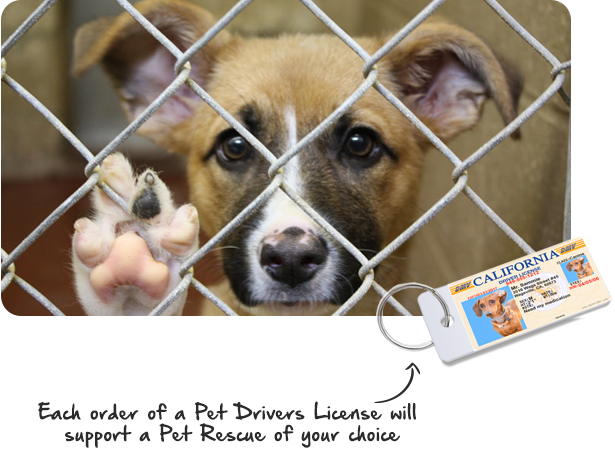 By purchasing a MyPetDMV tag, we help to bring hope to all animals in need. If you would like to partner with us, we are accepting a limited number of applications. Please complete the form below and a representative from our partnership program will get in touch with you. Pets should always have a collar and Personalized Pet ID tag with their vital information on it. It is important to check your pet’s identification tag to ensure the information is easily legible and current. Older tags may have worn printing and need to be replaced.